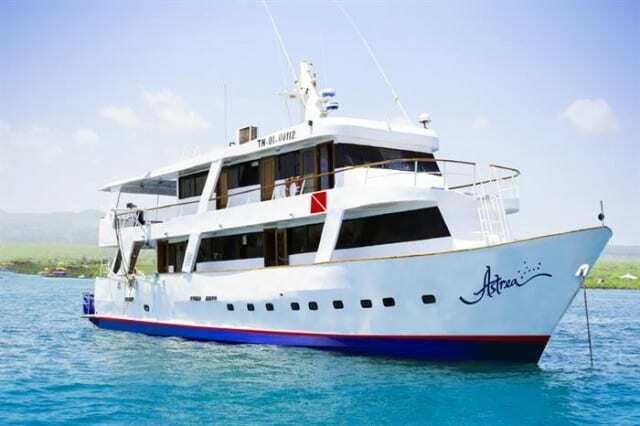 Cruise Astrea are a company offering bespoke diving and naturalist tours to the Galapagos Islands onboard their vessel, MV Astrea. A mind-blowing experience on land and in the water, the Galapagos Islands were made famous by Charles Darwin and his legendary voyage onboard the HMS Beagle in 1835. Due to their relatively isolated location 20% of the life on the islands is unique and not found elsewhere on the planet and are a crucially important centre for scientific research. There’s the opportunity to see huge pelagic life such as hammerhead sharks, silky sharks and whale sharks here. Or, even Sea Lions! MV Astrea was originally built in 1998 and has been subject to regular updates and evolutions – being last updated in 2015- keeping her up-to-date and equipped with the latest diving and safety facilities. 25m in length and 5.5m in beam she is comparable in size with her rival vessel MV Nortada. She is equipped with twin engines and is capable of powering along at 8 knots. She has 3 compressor – 2 air and 1 nitrox – ensuring that tanks are swiftly filled between dives. And, as you would expect, a full range of safety equipment including but not limited to life raft, radio, radar, fire extinguishers, life vest and first aid kit. 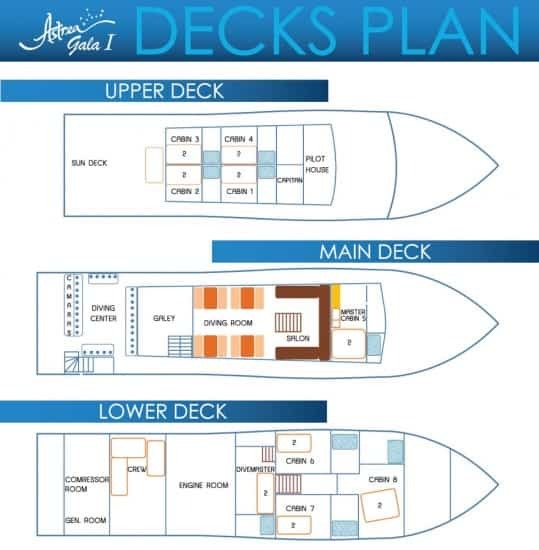 As with her rivals Galapagos Master and Galapagos Aggressor III, Astrea is home to 16 guests within 8 cabins. 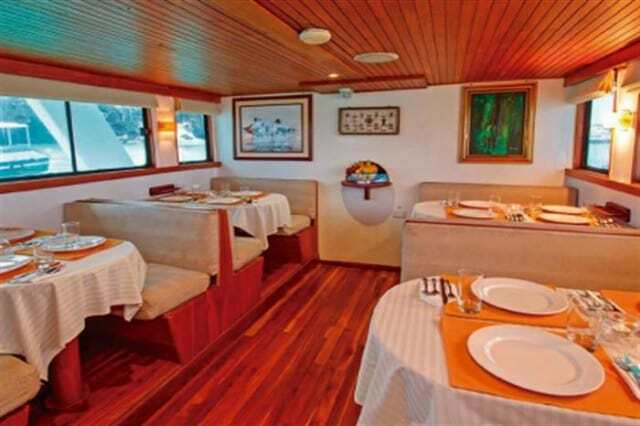 The cabins are simple, well trimmed and perfect for a diving voyage. The twin cabins have twin bunk beds, reading lamps and a wardrobe. The double cabin has similar facilities but with a double bed and single bunk above. All cabins, both twin and double, have air-conditioning for a restful night’s sleep. Other facilties inside include a lounge and resting area. 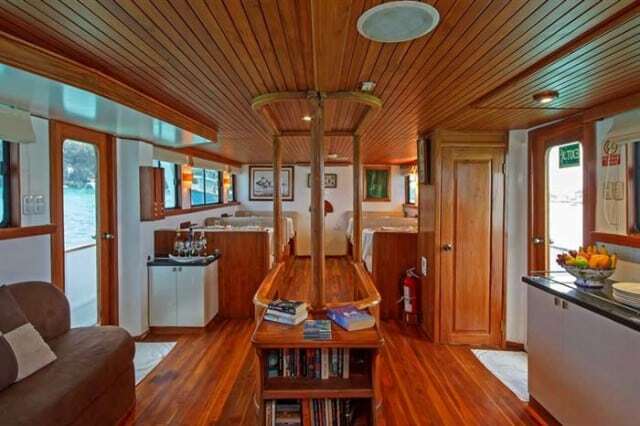 Here there’s TV, stereo system, a library for researching the amazing marine life, games and a bar. Up on the upper deck there’s the obligatory sun deck for topping up your tan or simply admiring the views. There’s a range of delicious food onboard in a buffet style ranging from local Ecuadorian style delicacies to more usual western cuisine. All are prepared with the freshest ingredients available. Snacks are offered throughout the day and there is a constant flow of tea, coffee and beverages to taste. The challenging diving of the Galapagos Islands is the focal point of the trip and won’t disappoint even the most experienced diver. With that in mind, Astrea insist that divers have a minimum of 40-45 dives and adequate experience in the open sea, currents and emergency procedures. There are 19 dives on offer subject to prevailing conditions. Nitrox is also highly recommended. 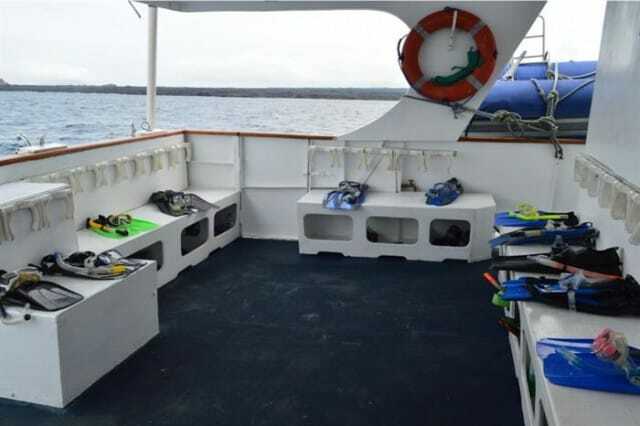 There is plenty of room of the dive deck to assemble your equipment and prepare pre-dive. There is a camera table, rinse tanks and fresh water showers for equipment care. Approximately 50 scuba tanks are onboard ready to be used! 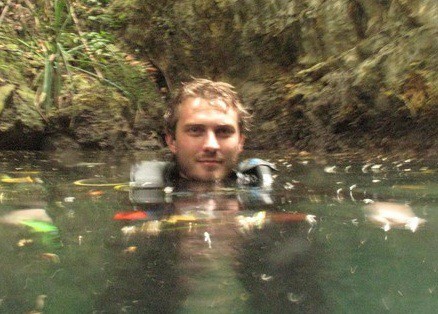 The diving is usually conducted from the diving dinghy tenders. This method allows you to be dropped at best point of the dive site to get the best of the action and use current to your advantage. The itineraries are typically 8 days/7night and aim to take in the very best diving sites available subject to conditions such as Darwin and Wolf. Expect to pay around EUR3,439 for this length trip. This equates to 429/day. This is very competitive for a Galapagos voyage. However, please note that this does not include some extras such as port/marine park fees, crew tips, alcoholic drinks and equipment rental. Please contact us for further details. The Astrea was amazing. The vessel was always kept clean and the crew was paying attention and trying to fulfill our every requests. The dishes were great, lot’s of choice. The room was cozy and had a private bathroom which we find very convenient. Great overall value for money. Wolf Island was incredible, that’s were we saw the most action. Darwin had a huge school of hammerheads as well, it was incredible. Diving the Galapagos was a dream… came true. I fully recommend. The Galapagos Islands are simply just as good as everybody says. Look no further. The Astrea, great on all point. Nothing is cheap about their service. From the first e-mail to the last hand shake => AMAZING. Again, look no further. 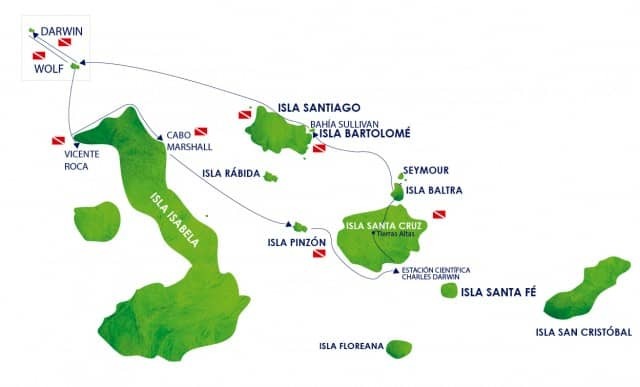 Competitively priced and taking in the best dive sites, this is a great Galapagos Islands diving choice.